When a drivers license is suspended a lot of things go through your mind including how you are going to get to work, who will drive the kids to school and more. Not only will you incur additional transportation costs but you also have to maintain your auto loan payment without legally being allowed to drive the vehicle. So what about your car insurance bill? Can you pause the premium payments and save money until your drivers license is restored? There are a number of things to consider about car insurance once your driver license is suspended. No car insurance company will issue any type of auto insurance policy to a driver with a suspended license since you are not really a driver at this moment in time. Sure, you can drive but legally you are not allowed so any type of accident you are in will be your fault no matter how minor. In terms of risk, drivers with a suspended license are extremely high risk. If you have a car insurance policy in place when your license gets suspended then start asking yourself these questions. How much car insurance do you need with a suspended license? Most drivers license suspensions are temporary and if you plan to comply with the law it might be a good idea to try and consider a couple options for lower car insurance premiums. The odds of you needing collision and comprehensive coverage while your car is parked in a driveway are low. Even items like GAP insurance pertain to accidents causing total loss which rarely happen to a parked car. Review your policy coverage and consider reducing coverage to the state minimum requirements if you feel your car is safe and unexposed to harm where its parked. Your homeowners insurance may even actually cover some damages which happen to the vehicle on your property so check with your home insurance company about your details of coverage. It’s a well known fact that reducing car insurance is often a much better choice than choosing to re-apply for an auto insurance policy once your drivers license is reinstated. Requesting a temporary hold on your car insurance policy is often possible but it depends on the car insurance company and the reason you request a hold. If you can find a reason to have your car insurance policy put on hold this may help waive premiums for a little while but reducing your coverage is a much better option since car insurance policy holds are very limited in term. Finding auto insurance after a suspended drivers license can be challenging and expensive so most drivers tend to either keep their current policy or reduce coverage temporarily. Do I have to file an SR-22 Financial Responsibility form? This really depends on the circumstances behind your drivers license suspension. 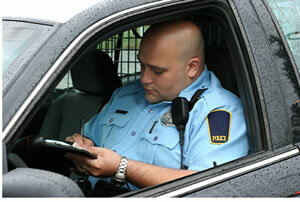 Any person required to file a SR-22 form will usually be subject to very expensive car insurance rates but if your drivers license is suspended for minor items like unpaid parking tickets or minor moving violations its rare (in most states) any type of SR-22 filing requirement will be placed on you. Mandatory SR-22 filing requirements are more for people convicted of serious offenses such as a DUI conviction, driving with no insurance and involved in a car accident etc. There are stories of drivers having to file a SR-22 for petty reasons though so never assume you can avoid an SR-22 filing requirement with a suspended driver’s license. Dealing with a suspended driver’s license can be frustrating and sometimes expensive however most people do continue to keep their car insurance policy in-force during the suspension period. If you do end up being dropped or having premiums rise then start a car insurance comparison search online to compare your auto insurance options.